← Cockfield Cinema – A Success! The Council met on 26th April 2018. The Councillors were joined by the District and County Councillors, three members of the public, former Clerk Doug Reed and Parish Clark Steve Ball. County Councillor Robert Lindsay in his report said that the School bus cuts proposal, which he strongly opposed, was to be decided by cabinet in June, he was disappointed that there seemed to be no evidence the cabinet or officers had done any extra impact assessment on effects on education, extra traffic on road and potential extra costs. Robert spoke briefly about Unitaries and Leader Challenge and went on to say he has again reminded highways that the Council is waiting for Costing for signs etc in Cockfield. He ended on a positive note regarding a Contribution towards the village cinema saying; with the new financial year, I will have new locality money very shortly so am open to suggestions on this front. District Councillor Clive Arthey advised that Suffolk County Council (Parish of Cockfield)(A1141 Lavenham Road)(40 mph limit) Order 2018 was approved on 25/04/18 and that the extended 40 mph speed limit would come into operation on 2/05/18. Councillor Arthey confirmed that Babergh Realm would continue to be responsible for grass cutting Dukes Meadow, until such time that the land had been transferred to Cockfield Parish Council. Public Discussion: A Resident proposed that the 40 mph speed limit be extended further east to join up with the 30 mph limit at Abbey Farm, or that the new 40 mph limit be reduced to 30 mph. Councillors advised that the new 40 mph limit (necessary to enable the McKenzie Place development to proceed), had taken 12 months to get approved and that further applications might have more success after the development is complete. The Chairman told the meeting that the Council was continuing to work towards compliance. Councillors were asked to consider potential projects ahead of full consideration at the next Council meeting. It had been suggested by BDC that a small area of land in Dukes Meadow could be transferred to the Parish Council who would then be responsible for its management the Clerk would be processing this with Babergh. The preferred supplier would be asked to attend a site meeting to discuss the feasibility of installation. The Parish Council’s preferred use for the telephone box sited in Howe Lane, outside the Post Office would be to house the Defibrillator. Ideas for the use of the telephone box sited at McKenzie Place would be considered further by councillors in advance of the next meeting. Councillors were taking advice from Babergh Heritage Department about protection measures to prevent further damage caused to Cross Green. Following discussion, it was agreed that no change is needed to the current meeting structure. Councillors agreed, on safety grounds, to instruct contractors to undertake a cut of 18 km of Parish verges. Emergency Services: Cllr Cutting Keyton confirmed that a Police represented the Annual Parish Meeting, and that there had not been any crime reported in the village since that meeting. Cemetery: Councillor Turner offered to take over responsibility from previous Councillor Morgan for Burials at the Cemetery. Play Equipment: Councillor Southgate reported that the Greens Management Committee would review annual maintenance tasks required, including painting, rope replacements and wood chippings spreading. 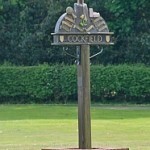 It was noted that the next Ordinary Meeting of the Council would be held on Thursday 31 May at 7.30pm in Cockfield Village Hall. Planning Decisions: It was noted that applications DC/18/00520 Chapel Road, Green Lane – erection of two semi-detached dwellings had been granted. Full details of all planning applications can be found on the Babergh District Council website. Details of how to make public comments on any planning application are also available on the Babergh website.